The fire prevention and protection units are responsible for the inspection, maintenance and testing of all fire protection systems and alarms on UC's campuses. Our team performs testing and maintenance as specified by the Ohio Fire Code and the National Fire Protection Association code (NFPA 25 & NFPA 96). In partnership with Facilities Management, we also work to ensure all water-based fire protection systems, such as fire sprinklers and kitchen ventilation systems, are maintained, tested and correctly reporting to the fire alarm network. 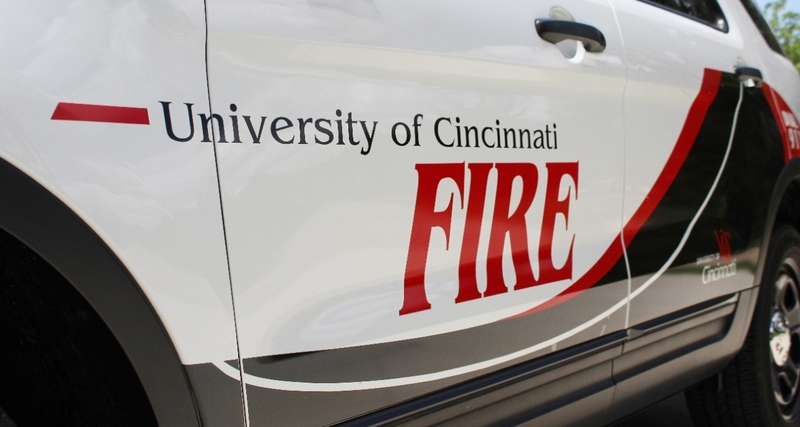 Serves as the liaison between UC and the Cincinnati Fire Department and coordinates permits for campus events, such as open flame, outdoor grilling, tents and canopy permits. Reviews plans for all new construction and renovation to ensure fire safety. Conducts fire safety training and drills. Investigates the causes of fires and fire alarms. Our inspectors are state certified and trained in arson investigation. They work in conjunction with UC Police to investigate arson fires and any criminal damage caused to life safety systems on our campuses. Technicians in the Protection Systems Unit oversee the testing, maintenance, and repair of over 15,000 fire alarm devices located throughout the University of Cincinnati as specified by the Ohio Fire Code and the National Fire Prevention Association code (NFPA72). The fire alarm system also serves as the backbone of UC's Emergency Alert System, which is used to provide voice warnings and instructions throughout our buildings in an emergency.